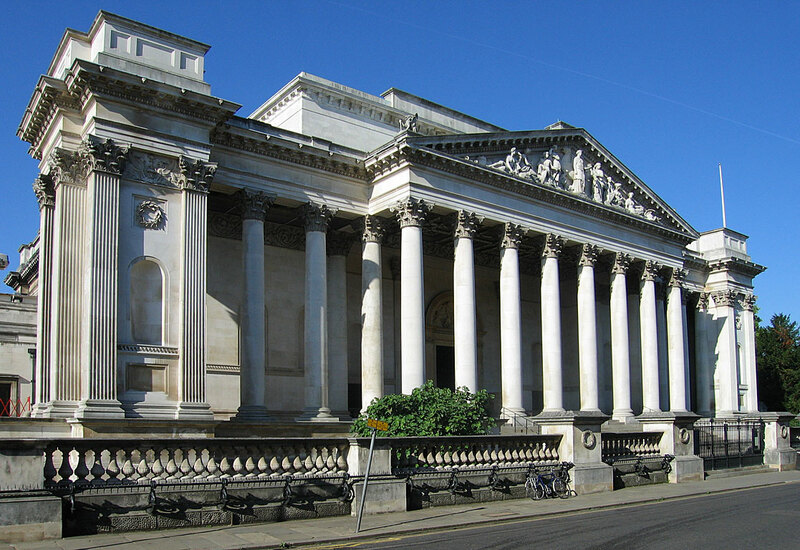 The Fitzwilliam Museum, Cambridge: where the £57m heist ended. Fourteen men, including four people associated with the Rathkeale Rovers gang, were convicted of plotting to steal rhino horn and Chinese treasures at Birmingham Crown Court. A number of raids across Europe and South Africa saw the group plunder archaeological treasures. They mainly targeted natural history museums and auction houses. The £57 million value of the artefacts dwarfs the previous record set by the Hatton Garden safe deposit burglary in 2015. Initially valued at £16 million, the £57 million figure was claimed to have been achieved at a Far Eastern auction. Rhino horn is a more valuable commodity than cocaine or gold with going rates known to reach £45,000 per kilo. In China and Vietnam, it is prized for its medicinal purposes. The Rathkeale Rovers gang which orchestrated the heist took the gang’s name from their home town in County Limerick. Its senior members have links with the Traveller communities. They escaped detection by hiding in the shadows. During the heist, their logistical approach was more like the Chuckle Brothers’ than UPS’. In the Durham Oriental Museum, the theft of a figurine and a jade bowl exposed the group’s failure to cover their tracks – with a pronounced hole in the wall. In Lewes, whilst eyeing a £60,000 rhino libation cup, they left with the wrong item before being stopped by onlookers. An attempt to grab a rhino head from Norwich’s Castle Museum saw four men dropping the item due to its weight. 2009, Cape Town, South Africa: two 19th Century rhino horns stolen from Iziko Museum. 2010, Munster, Germany: rhino horn stolen from the zoo. Most of the heist took place in 2011 and 2012. June 2011, Hamburg, Bamberg and Gifhorn, Germany: horns and a rhino horn was stolen from several targeted museums. June 2011, Florence, Italy: theft of three rhino horns after locking themselves in the city’s natural history museum. July 2011, Brussels, Belgium: theft of a rhino head from the Brussels Museum of Natural History. July 2011, Czech Republic: theft of hunting trophies from a Czech castle during a nighttime tour. July 2011, Blois, France: theft of a rhino head from the Blois Museum of Natural History. July 2011, Gothenburg, Sweden: stolen horn from the city’s natural history museum; thieves are seen sawing off the exhibit during its opening hours! December 2011, Paris, France: after stunning the guards with a stun gun, a rhino horn was stolen from the Museum of Hunting and Nature. January 2012, Durham, England: decorators tools were used to engineer the theft of a Ming Dynasty ceramic sculpture in the Durham Oriental Museum. The tools were used to smash open the sculpture’s cabinet. As they leave, one man is caught trying to escape. February 2012, Norwich, England: four men try to enter the city’s Castle Museum with a rhino’s head. After trying to pick it up, the foursome drops the rhino’s head. We see the criminal team hired by the Rathkeale Rovers convicted. March 2012, Lewes, England: another botch-up sees the heist continue at Gorringes Auction House. In the Sussex town, they try to steal a £60,000 rhino libation cup. Members of the Custom House criminal gang leap over the counter and grab the wrong item. They are later wrestled to the ground outside. April 2012, Durham and Cambridge, England: the last part of the heist sees a return visit to the Durham Oriental Museum. They run off with a jade bowl and a figurine and fail to cover their tracks thanks to a big hole near the stairway. After securing their booty, they lose their items on some spare ground, on the outskirts of Durham city centre. Eight days later, they take a trip to the Fitzwilliam Museum in Cambridge and find direct replacements for Far Eastern buyers. The items, estimated between £2m and £16m, are reputed to have reached a value of £57m. CPPM Locksmiths, 02 March 2016. Image by Andrew Dunn, 2004. Creative Commons License: Attribution-Share Alike CC BY-SA 2.0.